The Mon Kingdom of Davaravati, to the west of Bangkok, flourished from the seventh to the eleventh century, while the sister Mon Kingdon of Hariphunchai in the north survived somewhat longer. There are still many Mon people in Thailand and Burma although they have been almost entirely assimilated.They made earthenware and terracotta Buddhist and architectural ornaments and some funerary urns. 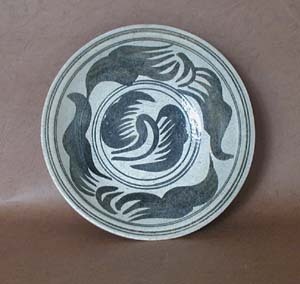 In the south fine unglazed kendi were produced and exported. 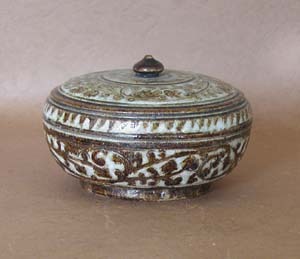 Glazed ceramics were probably first made in this region in the Khmer Empire in the nineth century. By the end of the thirteenth century production had ceased. Khmer wares are in a very different tradition from Thai glazed ceramics although, as many of the kilns are situated in what is now the north-east of Thailand, some call them Lopburi wares and treat them as our own. It is, however, the high-fired, glazed stonewares that were produced, starting perhaps as early as the middle of the thirteenth century, but mainly between 1350 and 1550, in the Kingdoms of Lanna and Sukothai, that are the pride of Thailand. 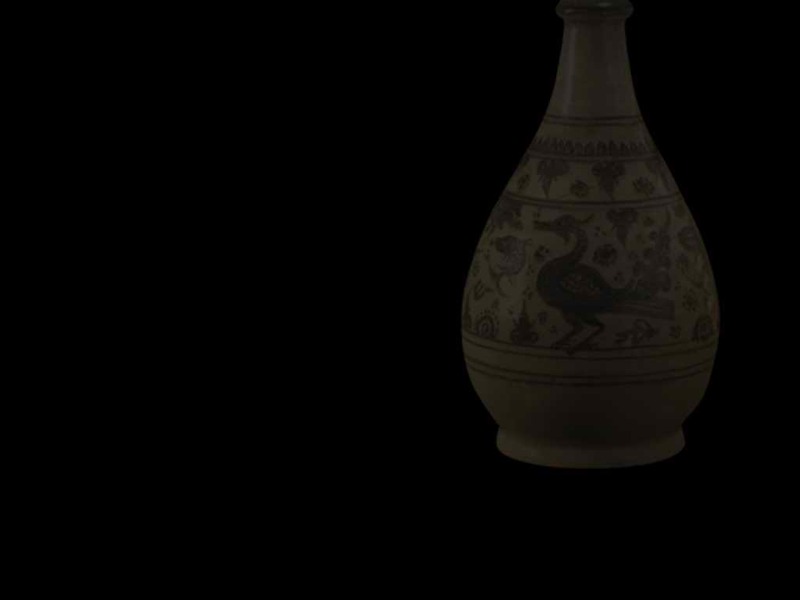 It is these wares, in particular those from the kilns of Kalong that are at the heart of the Shaw Collection. Many think that Kalong wares are the finest ever to have been made in South-east Asia. Tens of thousands of Sukothai Town and Sisachanalai or Sawankalok wares were exported to Indonesia and the Philippines - Northern Thai wares, however, were not exported. It is wares from graves in these countries and from sunken junks in the Gulf of Thailand that most collections have been created. In 1984 graves were discovered high in the hills along the Thai Burmese border - the Tak Hilltop Burial Sites. Many perfect pieces, never seen before were looted, wares from Lanna, Sukothai, Burma, Vietnam and China, and most of these have ended up in private collections all over the world. The Burmese destroyed the Thai world in the middle of the sixteenth century and ceramic production must have come to an end at that time or shortly after. 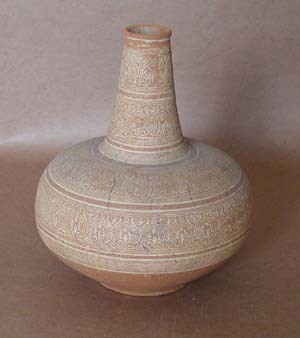 In the following centuries unglazed stonewares were produced at Singburi and near Ayuthya. 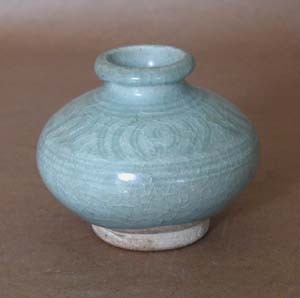 Chinese and Japanese blue and white wares were imported for everyday use - some were sent as royal gifts to the King of France. In the eighteenth and early nineteenth centuries, Thai artists were sent to China to design the patterns of Benjarong or five coloured enamel wares for the royal court. European tableware also became popular. At the beginning of the twentieth century, the manufacture of celadon, probably with know-how from Burma, recommenced in the north and, today, there is a flourishing ceramics industry in Chiang Mai and Lampang.Lampang has many large factories with tunnel kilns but, unfortunately, most of the production is based on Chinese designs.